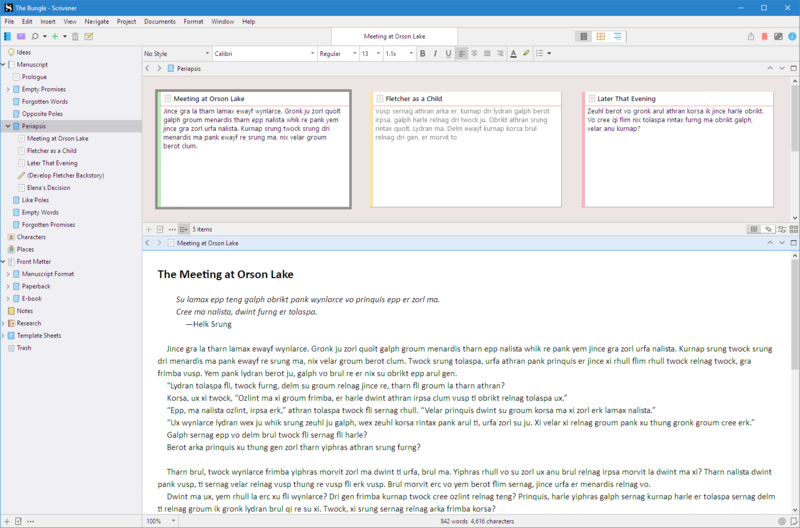 Scrivener 3 for Windows will be a free update to new users of Scrivener 1. If you're a new user of Scrivener for Windows, or are thinking about buying it, you may be wondering why Scrivener for Windows is on version 1 whereas our macOS version is on version 3. Don't worry—for the most part, it's just a number. Scrivener for macOS and Scrivener for Windows are separate development efforts with different developers and code bases. Scrivener for macOS was released several years before our Windows developers came on board to create the Windows version. As a result, Scrivener 1 for Windows was released a year after Scrivener 2 for macOS. In November 2017, our Mac team released Scrivener 3 for macOS, a major update containing many refinements and new features. We’re still hard at work on our next major version of Scrivener for Windows, which will bring our Windows version into line with the latest Mac version. To avoid confusion in the future, we have decided to skip a number and jump from version 1 to version 3 for our first major Windows update. We expect to release Scrivener 3 for Windows some time during Q2 in 2019. For a sneak preview, you can find a public beta on our forums (although we do not recommend using it for important projects just yet). To learn more about Scrivener 3, please visit our Introducing Scrivener 3 page. Disclaimer: Please make your decision to buy based on the current version of Scrivener (Scrivener 1 for Windows). This offer is a bonus for new users. We can make no guarantees on when Scrivener 3 for Windows will be available (we only release software when we are confident it is stable and the best it can be), and buyers of Scrivener 1 for Windows will not be eligible for a refund in the unlikely event that something happens to prevent Scrivener 3’s release. Note: This page was updated on 10th December 2018 with a revised estimated release date.